It is my great pleasure to invite you to attend and participate in the 1st International Wine Tourism Conference & Workshop in Sitges. If you would like to make a presentation at the conference please also click on the above link or go direct to the Speaker Proposal Form. The Wine Pleasures Wine Tourism Workshop brings together European wine experience providers and carefully screened, high-quality tour operators and travel agents at a unique event devoted to achieving results and growing international wine tourism in Europe. In contrast to trade fairs and exhibitions, the Wine Pleasures Workshop is closed to the general public, and takes place in a private environment perfect for pre-scheduled one-to-one business meetings between wine experience providers (mostly wineries,) and travel professionals selected for their quality and credentials. Wine Pleasures invites more agents than providers to ensure that the latter can fill each available appointment slot with useful and relevant contacts. Wine experience providers will value the Wine Pleasures workshop because they can meet a diverse range of wine tourism agents from all over the world. They can increase their wine tourist bookings by meeting and appointing new agents, extending relationships with existing contacts, obtaining market intelligence and feedback, and promoting their brand in the international wine tourism marketplace. Tour Operators and Travel Agents will use the Wine Pleausres Workshop to easily source new European wine experience programmes and providers for their portfolios, and to strengthen established business relationships – at one event in one location. 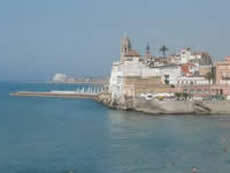 We look forward to welcoming you in Sitges.